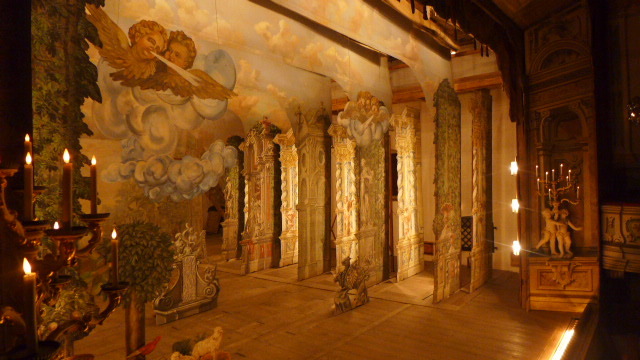 On friday, the workshop was focused on history of theatre space with Jana Návratová and on saturday, we made a trip to unique Baroque Theatre in Český Krumlov. There we had a presentation of the theatre by PhDr. Pavel Slavko. The church shines, brightened in its middle.